An opportunity to learn how to make a bundle of money. spirituality, how to start and succeed in business and so much more! with me for an entire evening! 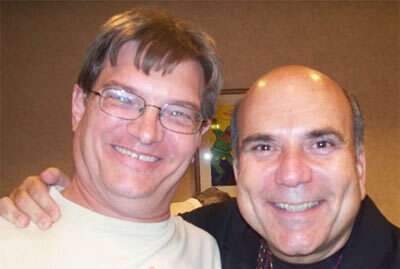 At the recent Miracles Weekend Seminar I held in San Diego, I hosted an exclusive private Master Mind. Nineteen people joined me as we supported each other in solving problems, exchanging resources, and offering support, inspiration and information. Some people had instant resolutions to long-standing problems. Others got priceless resources to move them forward to their dreams and goals. I decided to allow a couple select people to join a Master Mind with yours truly. 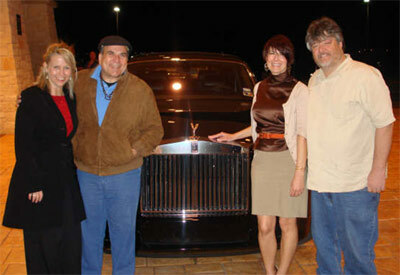 On October 31st, 2009, I'm going to host the 11th in my series of Rolls-Royce Phantom Master Minds. You'll fly into Austin, Texas. A special guest and myself (and one other participant) will pick you up at your hotel in my brand new Rolls-Royce Phantom and head out for a spectacular dinner and start our Master Mind session together. 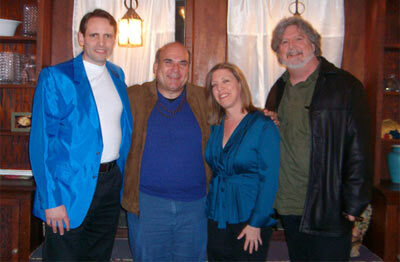 On March 11th I had the privilege of spending an inspiring and magical evening with Dr. Joe. From the moment we first met to the time we climbed into the back seat of his Rolls Royce I could feel and tell this was going to be the evening of all evenings. If this wasn’t enough to start, when I met the driver I became even more excited. 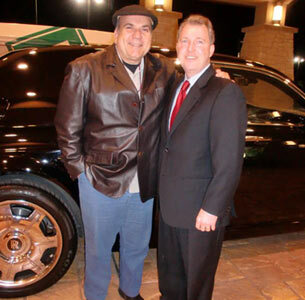 Dr. Joe had his good friend Pat O’Bryan drive the car. I knew of Pat so I was excited to be able to meet him and share time with him as well. We talked about many things and by the time we arrived at the restaurant, I was ready to learn. The meal was absolutely fabulous. However the real meat was what I learned about myself and my business. 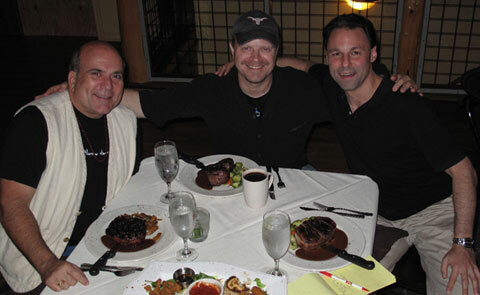 With Dr. Joe and Pat feeding off each other, clarity, validation, direction and the “how’s” were being served. I was able to take copious notes and develop a real sense of what I ought to do and what I could do. The hours we spent together flew by. All the while I was being fed as much as I needed and wanted. Multiple times Dr. Joe and Pat asked me if there was more I wanted and if there were any stones we left unturned. This was really helpful and important to me as my mind was racing with ideas and questions. Thank you very much for an absolutely fabulous evening. What I learned about myself and my business is priceless. The clarity and direction that you gave me is just what I needed. To top it off, your “goodie” bag was the perfect dessert. 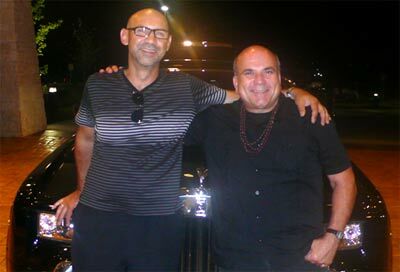 "My Rolls Royce Master Mind Experiene with Dr. Joe Vitale positively cannot be expressed in words! It was beyond this world! Just in the first 15 minutes I got so many amazing prosperity ideas and concepts that will definatley help me increase my abundane and joy in life. 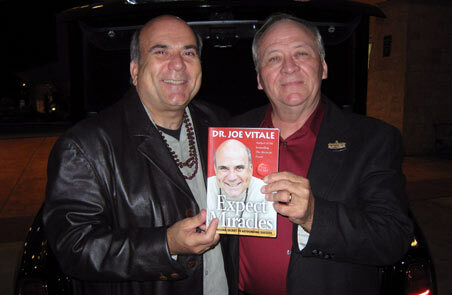 Dr. Joe Vitale is someone who you must master mind with to take your entire life to the next level." 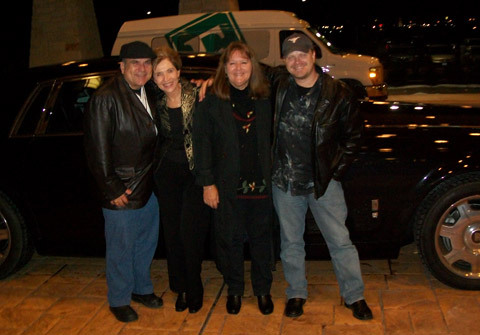 On October 31, 2009 I was accepted to travel with Dr. Vitale and co-pilot O'Bryan for a sensational ride and dine at a remarkable Restaurant. This revolutionary experience was "in fact" a schooling and an introduction to an "Expect Miracles" in a quick (Fast as fast can be) fashion. Dr. Viale was very enthusiastic every moment of the night including his "in your face" schooling approach to a missed step, by yours truly. Also, I detected a Dr. Lew testimonial in the vibrational air after the schooling event -- which changed the dialogue between all attending guests and hosts. This was the turning point for the evening, it was cleaned and cleared by Dr. Vitale without a problem, I sensed it and knew that he was sincere, which was outstanding. As we moved into a divided conversation between the attending guest we were each polite and attentive plus respectful to the hosts Joe and Pat but the Central message was philosophically different, i.e., I was not there to sell any item, I just wanted knowledge about Dr. Vitale's and Pat O'Bryan's real demeanor because I've invested in each, through purchased items. The knowledge I obtained was excellent because I now know these Two Gentlemen are very valuable to any student seeking personal improvement. The entire evening (4+Hours) was captured by the Pulse recording pen. (Great for students) As a side venture of Dr. Vitale and O'Bryan I was sold on their Hoshun concept, I employed the very concept because I had borrowed the funds required to travel to San Marcos plus pay Dr. Vitale for this wonderful event. With this in mind, yesterday (12/03/2009-my Birthday) the desire/wish became a reality and Hoshun now has two eyes because the needed funds returned to me plus additional funds, as I had requested. I have a copy of the check for validation. 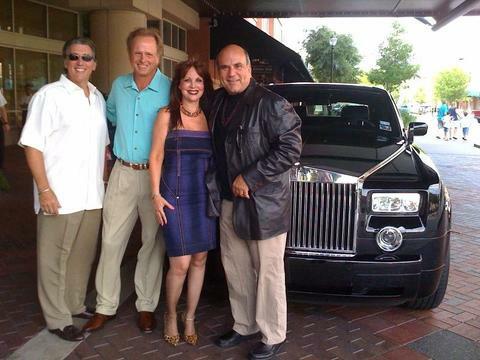 Thanks Dr. Joe Vitale and Pat O'Bryan for this dramatic transformation in my life. Also, the meeting of Mr. Collie and his wife lifted my spirits hallo-ween night. I highly recommend the Ride & Dine experience and the following book, Expect Miracles and the DVD ZeroLimits 111 - The Final Chapter plus Pat O'Bryan book Your Portable Empire and remember Hoshun. 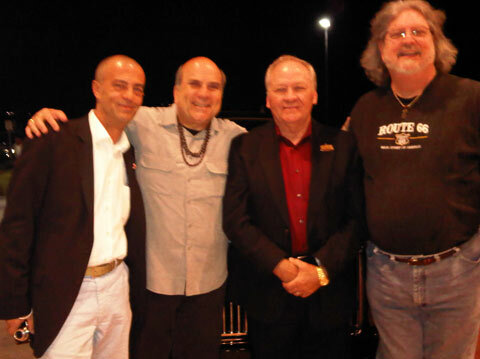 As we departed that evening Dr. Joe Vitale and Pat O'Bryan presented me and the other attending guest every book and DVD they had on the market which really inspired me to become a serious student of their material. We'll continue our conversation over a delicious meal, and return to the Rolls-Royce Phantom for more spellbinding masterminding. - OTHER PEOPLE'S SUPPORT in helping you solve complex challenges personally and professionally. 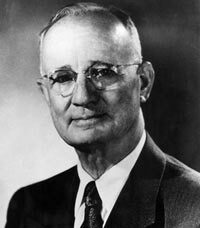 In fact, not only am I big fan of Master Minding to start and grow businesses, the great author of "Think and Grow Rich," Napoleon Hill, cited forming Master Minds as vital to success in any endeavor. Ok…let’s get down to brass tacks! 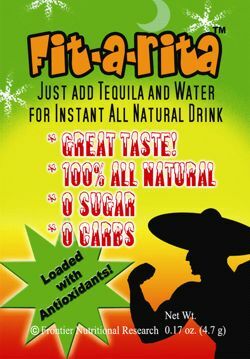 You will want to hurry because we already sold out of Oct. 31st, Nov. 19th, Dec. 1st & Dec. 3rd 2009 in record time! Besides our magical environment in the Rolls ride and phenomenal dinner, I truly value your open spirit of friendship and limitlessness. It's this genuine spirit felt that allowed MasterHeart ideas to flow, including uncovering blocks within me ~~ forevermore released to now act on every heart impulse and create grandly. I'd recommend this experience to ANY person desiring a powerful launch pad, willing to fuel YourSelf going forward. If you're interested in picking my brain dry of all my marketing, promotion and spiritual techniques, having an exclusive dinner, and driving around in the lap of luxury in my brand new Rolls-Royce Phantom for an evening, please contact my assistant Suzanne at suzanne@mrfire.com. You may also call my office at 512-278-1610. "Have you ever noticed that when you look back on your life what it is that you remember? What you remember are specific moments. Good or bad it's the moment, and the feelings you felt. You've told that story over and over ever since then, haven't you? It’s earmarked forever. "I learned more and got more ideas on how to take my personal life, and business to the next level of awareness, than I have in years. I have felt a wonderful uplifting energy shift and experienced growth ever since then that's indescribable. All I can say is that if you ever have an opportunity to experience one of his Master Minds, it will change your life and it will be a story you too will share with others forever. It will start like this, "Oh My God, did I ever tell you about the time I went to Dr. Vitale's Master Mind." Couple of months ago I read one of the Warren Buffets quotes about investors. He said that he didn’t understand why the guy who rides Rolls Royce asks an investment advice from the guy who takes subway to work. 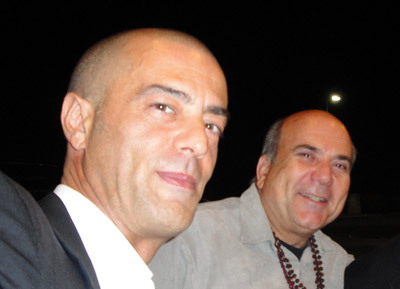 I wanted to meet Joe Vitale since I have watched “The Secret”, read couple of his books and started using Hypnotic Writing software. Somehow I got email from Mark Ryan about Mastermind private meeting. I jumped on a plane and came to Austin, Texas. I didn’t have time to prepare. I just grabbed my notes with my ideas hoping that Joe and Mark would find them somewhat interesting. 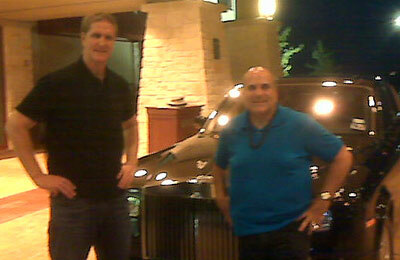 I am so glad that I got an advice from Joe Vitale the guy who rides Rolls Royce. It is priceless. PS. 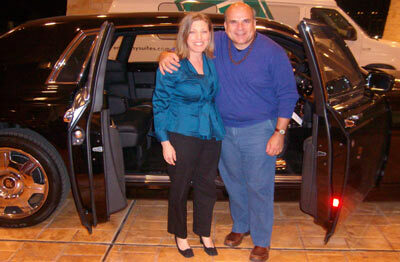 Thanks a delicious dinner and heavenly Rolls Royce ride. Are you interested in being a MULTI-MILLIONAIRE Phantom Rider? After all, the MAGIC of a Master Mind is in the energy of the experience itself. And I coauthored (with Bill Hibbler) the bible on how to create a Master Mind in "Meet and Grow Rich." “As I told you when we were together, I really had no idea what I wanted from our time together when I signed up, other than the vague notion of finding out what I wanted to be when I grew up. But I knew somehow that I had to go, and I knew that if nothing else, just being with you for three hours was going to be transformative. I had no idea of the magnitude of the transformation I was going to experience. My investment was more than repaid by the notebook full of ideas and inspiration I brought back with me, and the greater depth of understanding about what I needed to do to succeed with my ideas. That could have been considered enough. But there was change in me at a much deeper level, and I think that change was brought about by the depth of presence and attention I experienced in yourself, Craig and Nerissa. Your authenticity, connectedness, and love were awe inspiring, and there is no doubt in my mind that I brought that back with me, in me, as part of me. The positive changes in my life that have snowballed out of that experience are too numerous to mention. Suffice to say that I have a clear path for the future, I have absolute confidence and trust in myself and the Universe, and my world is unfolding perfectly. And that’s new! And another aspect is that being with the three of you was just plain fun! It was one of the most enjoyable experiences I have ever had, and it is etched in my memory forever. You are truly generous loving people and I felt honored to be with you. And the car! Oh my god, if there is anything that reminds you of your own magnificence, it is being driven around in this car. The universe of possibilities opens right in front of you and your vision of and for yourself can never be the same. My hourly rate is usually $2,500. If you're interested in picking my brain dry of all my marketing, promotion, financial and spiritual techniques, having an exclusive dinner, and driving around in the lap of luxury in my brand new Karma Fisker for an evening, please contact my assistant Suzanne at suzanne@mrfire.com. You may also call my office at 512-278-1610. PS: If you have ever wanted personal access to me, my marketing techniques, financial strategies and my spiritual teachings - then this is an opportunity you will not want to miss. In fact this is the only way to do it. You can pick my brain dry for three solid hours. You never know what will come of it. This may be the beginning of a new you for 2009. * Note: The fee for the Master Mind Experience includes the Master Minding ride and dinner, but your travel to and from Austin and your room and board are up to you. Thank you. 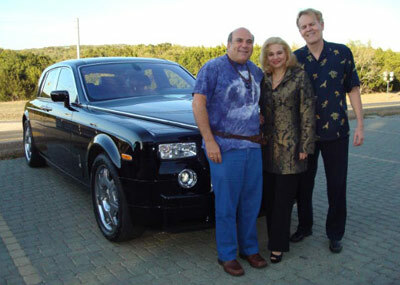 "Riding in a shiny new Rolls with Joe Vitale through the streets of downtown Austin...floating in luxurious splendor...soaking up peace and prosperity...what a fantastic experience! I got to "Mastermind" with Joe and friend over a long, elegant gourmet dinner, rubbing elbows with two of the best and brightest thinkers and leaders of our day. My consciousness was elevated and my aura was fluffed. The personal and business insights I gained were priceless! I highly recommend this event. And did I mention? NICE CAR DUDE!" I have been back in Switzerland for 48 hours and still am in a daze, thinking about the Rolls Royce evening. It was unforgettable but more importantly a real turning point. In the time since, not one thought of self doubt has crept into my conscious, and that alone, has been worth more than money can buy. I have had the chance to read Ikuko's (Coco) testimonial, and yes we felt like a team from the start, to be in the presence of such informed motivational spiritual, and compassionate company was a true privilege for me and one of those life changing events. Coco is a very special lady, and Dr. Joe and Mark made it feel like we had all known each other for years.....I hope we do! I will definitely be back to repeat, because I know I can make progress with my plans and be looking for more advice, the kind of which is just not available anywhere else. This is truly a unique event. Thank you from my heart...you really do make a difference in a life where it is easy to be overwhelmed and lose hope and confidence.